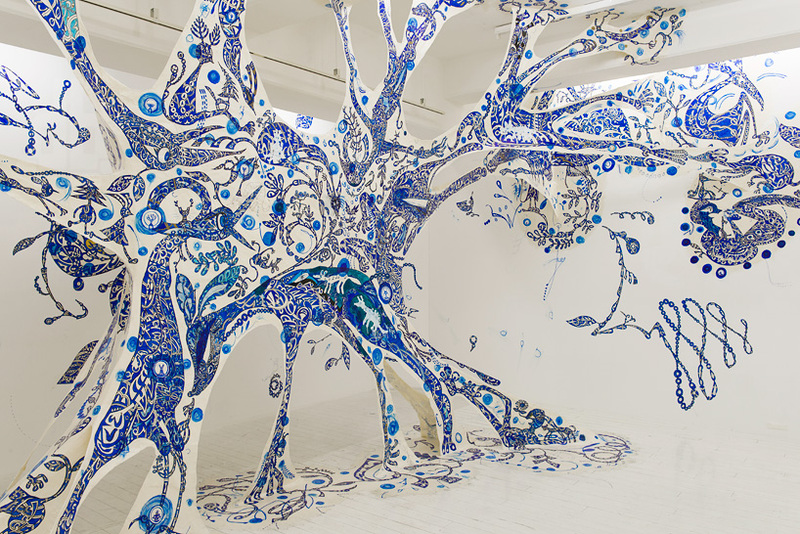 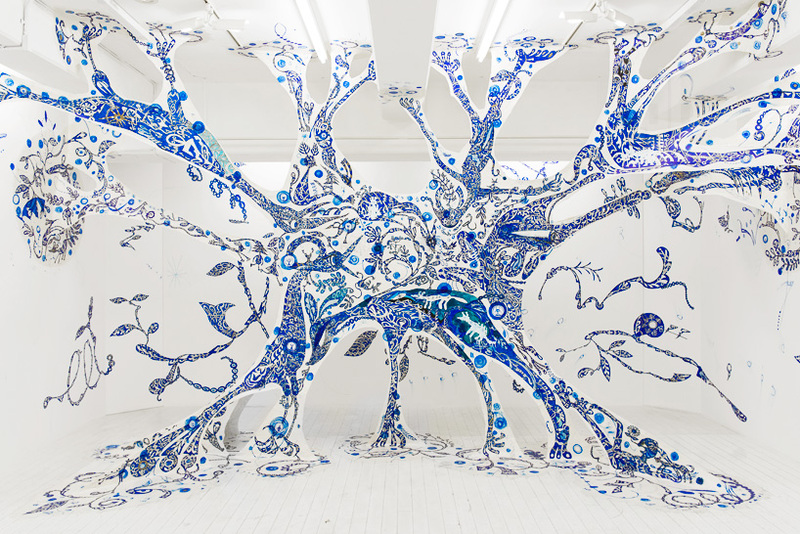 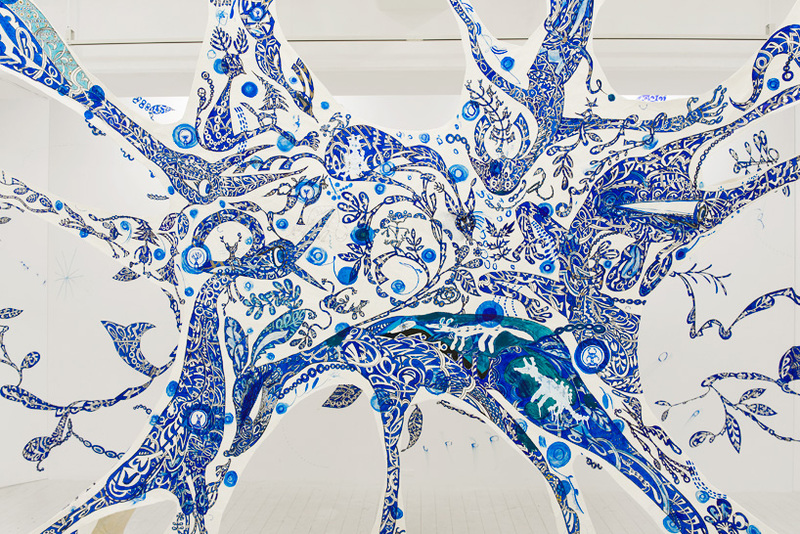 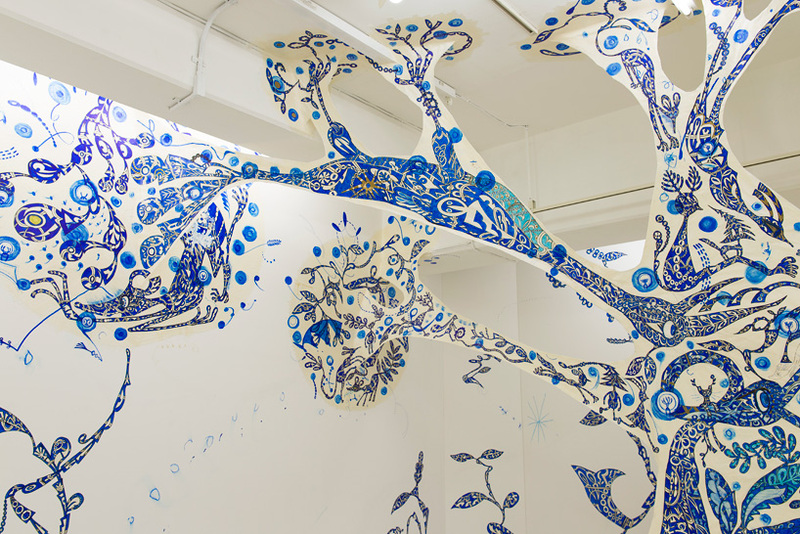 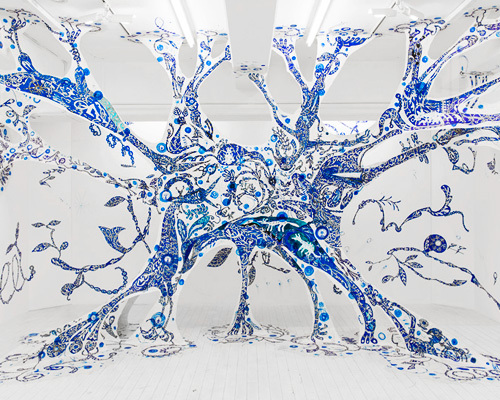 although he typically chooses to work with organic mediums like mud, japanese artist yusuke asai continues his practice of large-scale, painted installations with paper and marker at arataniurano gallery in tokyo. 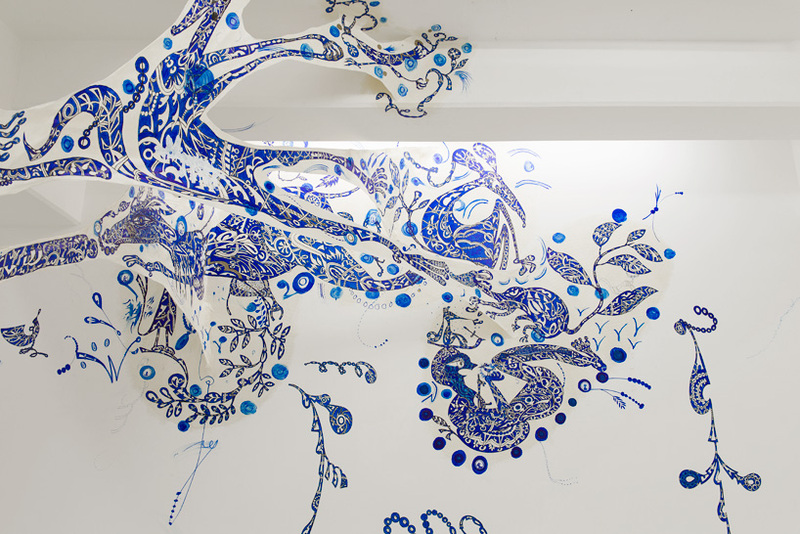 from now until december 20th, 2015, asai suspends ‘creating here’ above visitors to the art space. 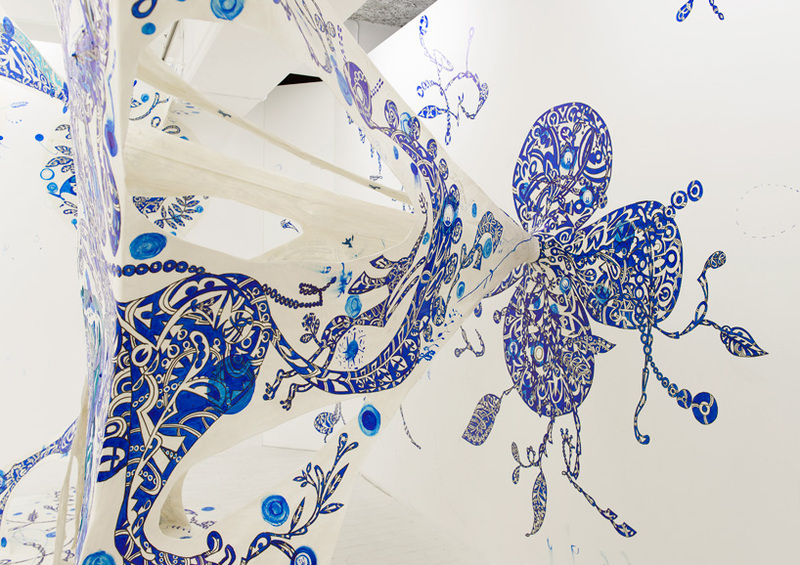 vibrantly colored blue illustrations, rich with abstract geometric patterning and floral and animal symbols, are delineated onto long white canvasses that stretch from the surrounding walls to the floor like a spider’s web. 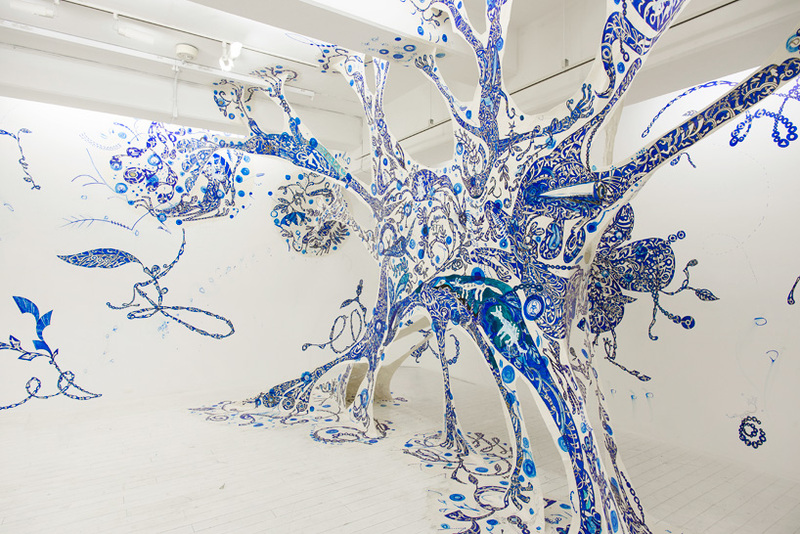 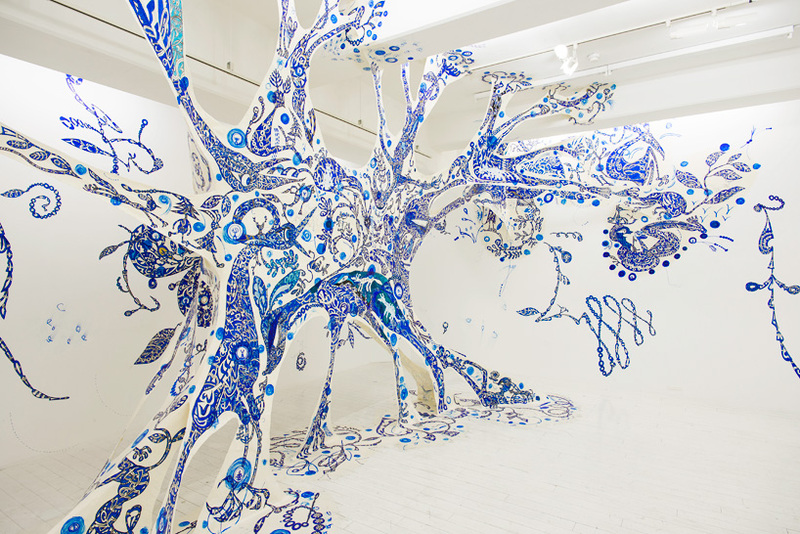 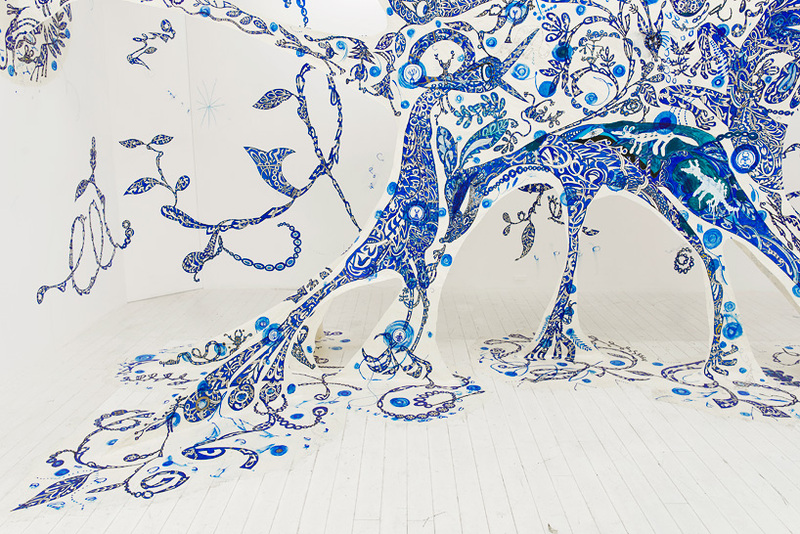 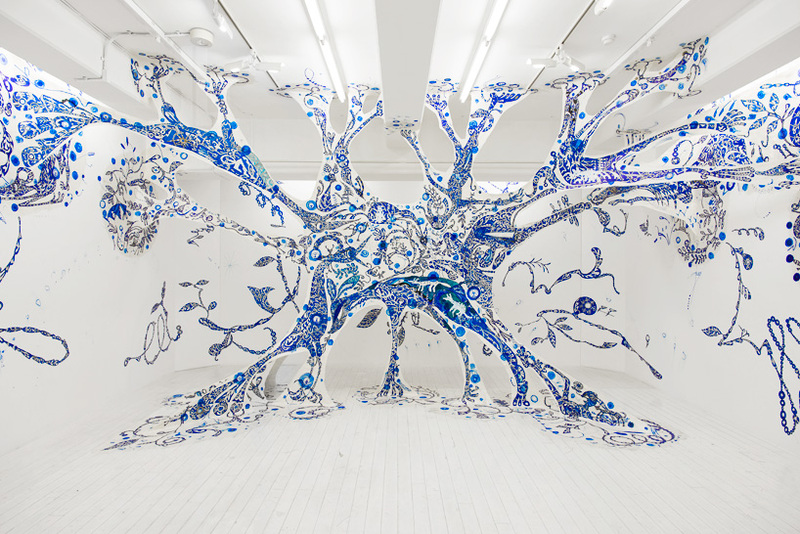 the work extends the surfaces outward towards the audience, enveloping them within the saturated, hand-drawn expanse. 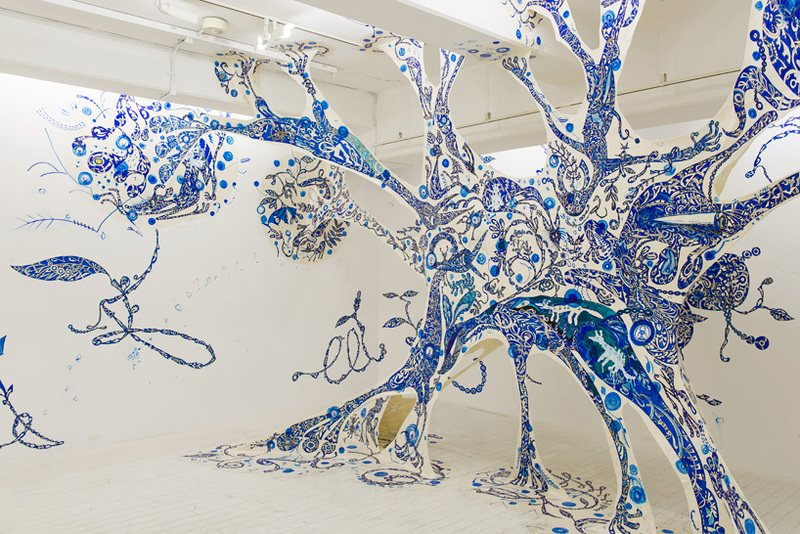 imagery of birds, foxes and lizards are carefully interwoven into the realized design, which overall comprises a dense and mesmerizing landscape of imaginary creatures and botanical motifs.